Every summer my wife and I take the children west to experience nature at its grandest. Though these trips are designed to foster “quality family time,” invariably they teach us more about ourselves than merely about nature. In previous posts I have used these trips to learn something new about the role of information and communications technology in our lives. This year I learned two kinds of lessons. One was about connectivity, while the other was about prediction. That is not obvious, to be sure. Give me a minute. I will get there. Zion and Bryce involved rock formed two hundred million years ago, and the Petrified Forest involved events in the same range. 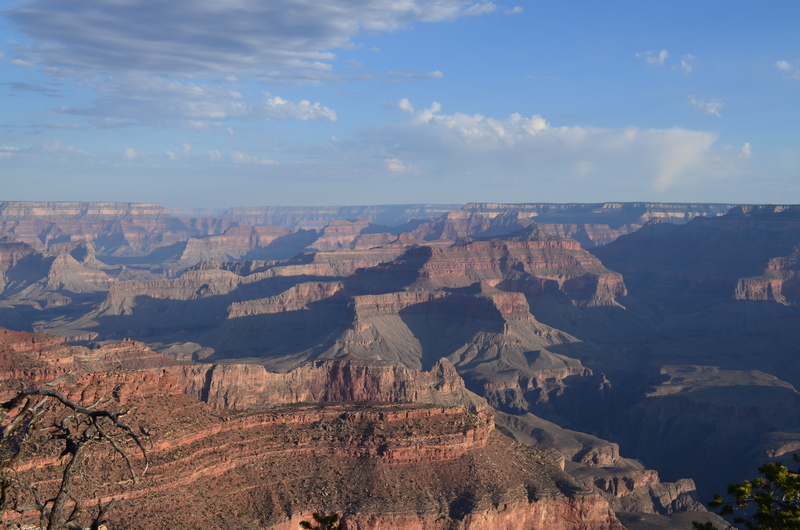 The Grand Canyon, however, was in an entirely different league. 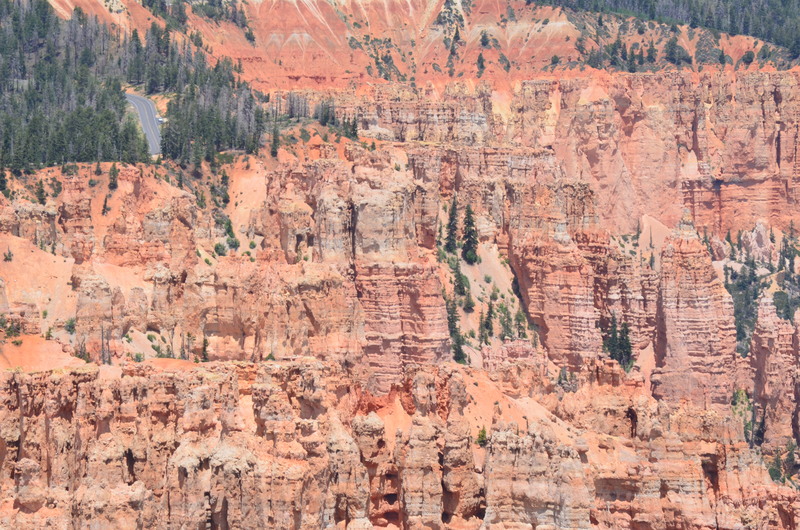 The upper range of color in the canyon was from rock formed in the same era as that which Zion and Bryce showed off. Yet, that was but the tip of the Canyon. Its oldest layers went down to rock just under two billion years old, long before there was any living thing on the planet. All these sites are spectacular today. But all of them reside inside a vast desert plain. No matter how one structures it, a vacation involves long drives from one site to another. Get the picture? 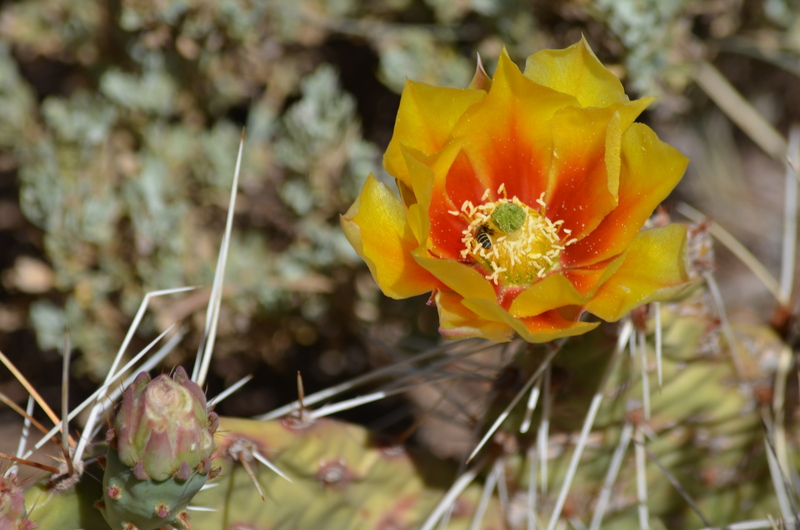 • The banality of ubiquitous coverage: Despite traveling in some pretty remote areas of the desert – hiking trails, Indian reservations, gas stations and rest stops of all stripes in between places of extraordinary natural beauty – we had cell phone coverage almost everywhere. It is quite obvious why: there are plenty of other crazy travelers like us traveling these same routes to see these same remote sites. Towers had been erected, and it was not a big deal. • Addicted to tethering: The older children brought along their laptops and happily continued their surfing and social interactions from any and all locations. They would have done so from car if I had allowed them to use my phone as a local hotspot. Did I let them do so? Not at all. This experience reinforced a long-standing policy of mine, to make my cell phone as useless for my kids as possible. That way, I have a chance to retain use of it. • An object for parental fodder: Our hotel in Zion National Park supported WiFi, while our quarters in the Grand Canyon lacked WiFi in the rooms (but had it in general common areas). I had gone to some lengths to secure overnight rooms in the park – there is limited space—so when the kids began to whine about the lack of WiFi, they received the parental rebuke: “Well, then, we will just have to go outside and experience the outdoors.” That seemed like a particularly appropriate rebuke in a National Park, and especially when we were next to the biggest hole in the ground on the planet. Any parent would have said the same thing. What shocked me was the tone, the same righteous exacerbation in my voice as I had heard from my parents. • Facilitating no boundaries between the professional and personal: There was extraordinarily good connectivity in the dessert. I was able to maintain all my professional connections despite being in many remote locations. Email responses by smart phone worked almost everywhere, and my wife gleefully went about answering her email during car rides. I took care of things during car stops. Speaking for myself, occasionally the PC was needed, so that waited for the evenings. I even fielded a lengthy phone call from a reporter one morning (I rise early while everyone else slumbers, so it did not really throw off the family schedule). He and I had no problem noticing the irony. We were discussing the gains and overhype affiliated with information technology while we were, in fact, experiencing a moment in which geography has ceased to constrain conversation due to the spread of modern IT. The last conversation with the reporter focused on the relationship between prediction and realization, between visionary outline and actual corporeal fact. This topic is not new in IT, since there is so much overstatement in IT markets. By contrast, economics focuses so relentlessly on data and numerical analysis, which grounds insights. It’s a playground for skeptics. So the “economics of IT” sounds like an oxymoron to someone steeped in both the culture of hype and mainstream economic reasoning. That conversation got me started on the second big lessons of this vacation. Three distinct types of circumstances in this vacation reminded me of how prediction and realization can differ. • The first type might be called gradual filling in. 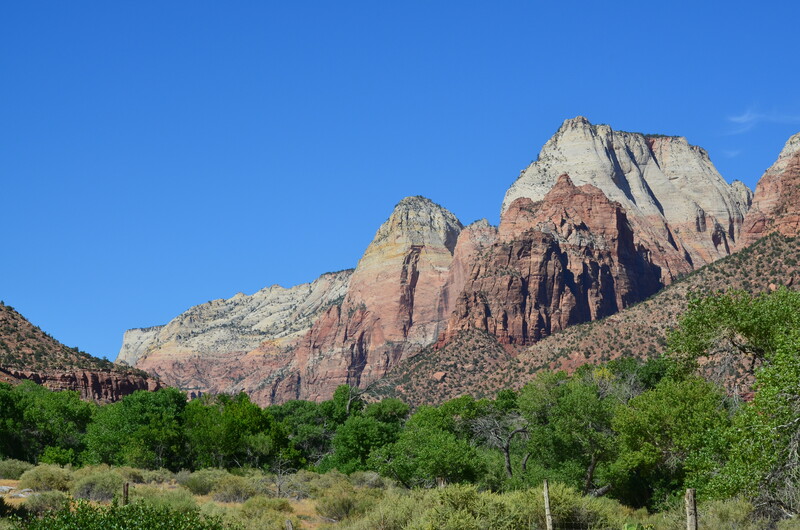 Zion National Park, for example, is mountainous, with large stone structures rising high above a plain. Visible from far away, predicted perceptions are closely linked to its realized perceptions. We first viewed a large structure in the distance, determining the outline of shapes, but not the interior. As we approached it the details became more evident. Once close up the extraordinary features became plain (and, in this case, overwhelming). The little wows at the start mediated the big wows at the end. 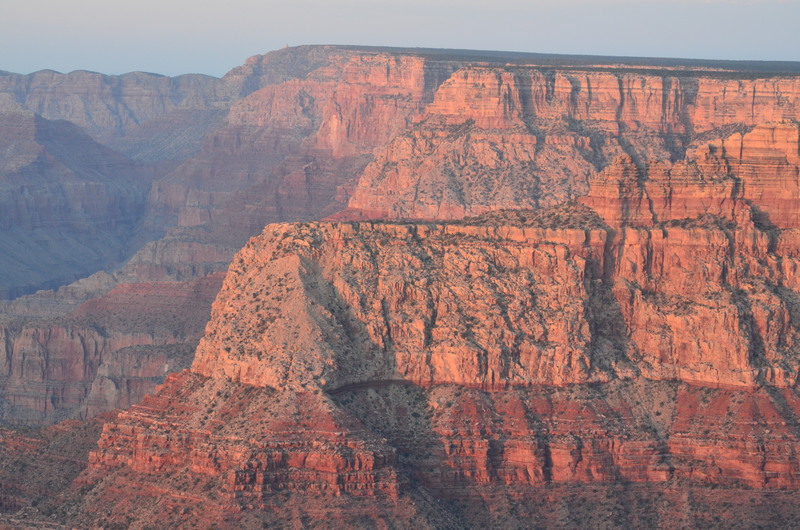 Though it did not make the canyon less dramatic, it did lesson the suddenness of realization. • The second type might be called a sudden extraordinary view. 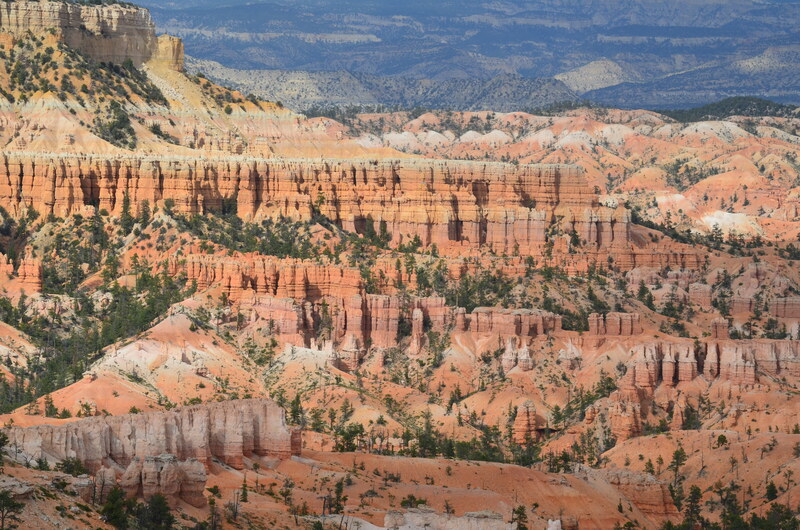 Viewing the Grand Canyon or Bryce Canyon is this kind of experience. Take the Grand Canyon. From a distance very little is visible because it is, after all, a canyon — a big hole in the ground. 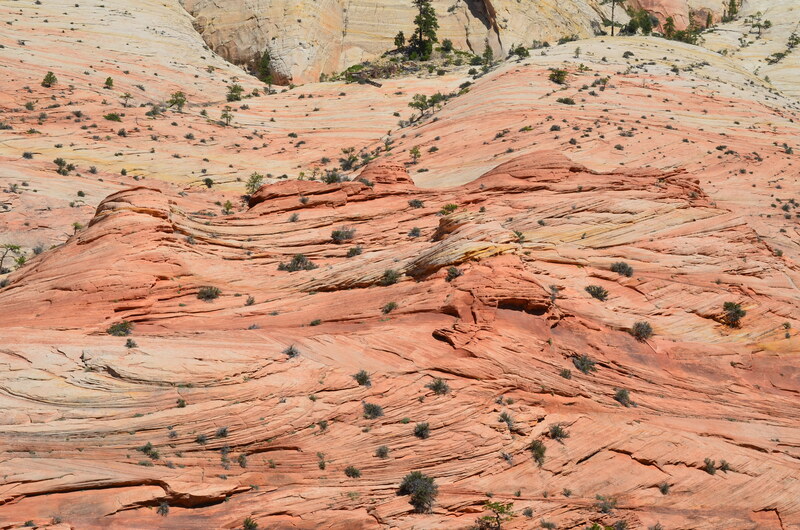 More to the point, it is set within a flat plain, cut by the Colorado River over five million years. Almost nothing can be seen because forest surrounds it, and there is no way to look down until the viewer is on top of it. Then almost everything becomes visible at once. There is nothing gradual about the experience. Suddenly, something indescribable comes into view. • The third type of experience might be called imperceptible except at extreme close up. 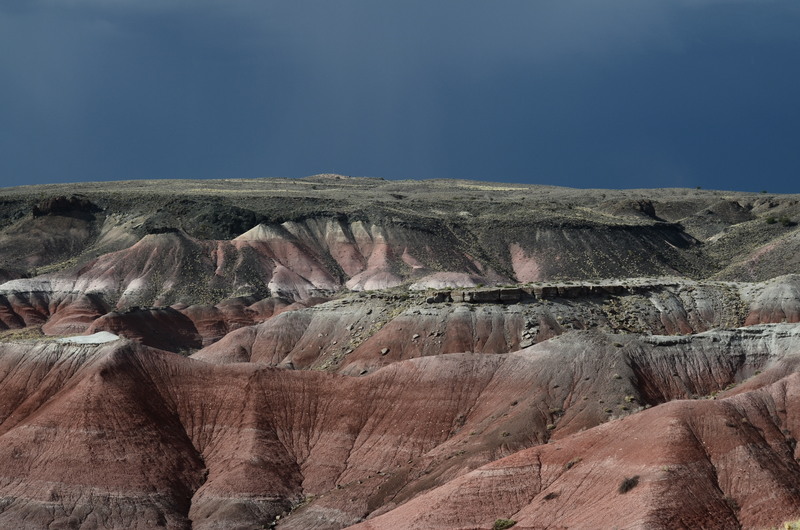 The Petrified Forest had this quality. Like the Grand Canyon, nothing is experienced until the viewer gets right on top of it. 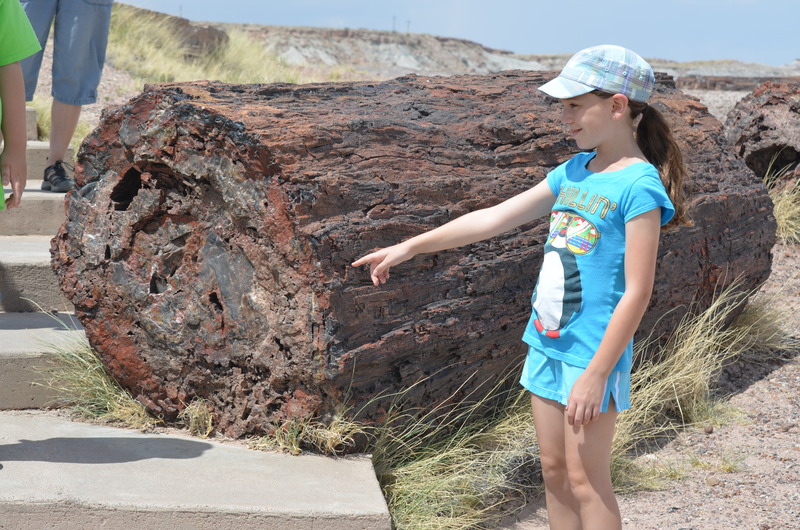 But unlike the big hole in the ground, there are little hints of something, before the realization hits that the artifacts in front of us are two hundred millions year old trees. 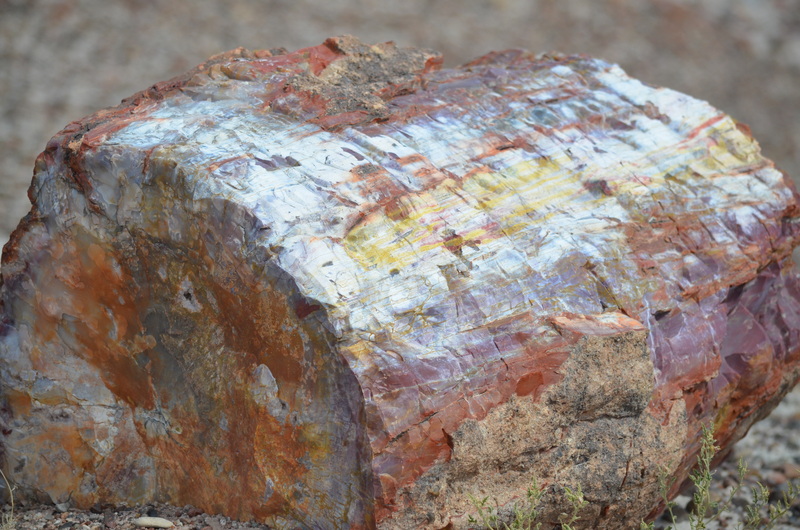 Strewn throughout the park, the Petrified Forest consists of pieces of two hundred million year old trees that absorbed chemicals that turned them into rock. 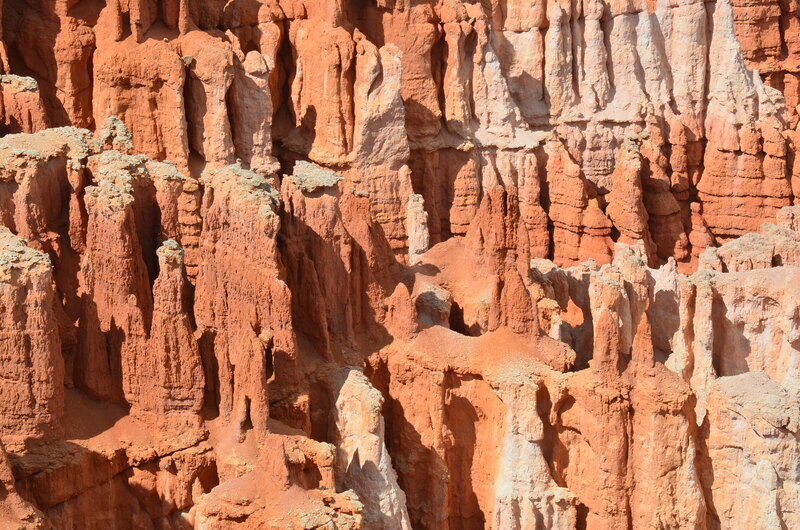 The random luck of erosion and time has exposed them again, after hundreds of millions of years being buried. Once again, this can be viewed from a distance, but it cannot be understood until the viewer comes right on top of the artifacts, standing next to them. Then the extraordinary and strange features of two-hundred year old fossils become evident. Get the idea? For illustration, let’s use the metaphor in different circumstances. The gradual filling in often describes big changes with long gestations. That describes the diffusion of the cell phone (which took twenty years to get to most households), or the diffusion of television (again, a couple decades). The sudden extraordinary view seems to be reserved mostly for disasters, such as the dot-com crash, which should be properly understood as a sudden change in the prevailing view about the value of a set of activities which were premised on similar (in this instance, false) assumptions. While not altogether instantaneous, the end came comparatively quickly and it was breathtaking to behold when it happened (albeit, not very pleasant). What is an example of imperceptible except at extreme close up? That usually describes any large societal change that gradually arose without much notice. 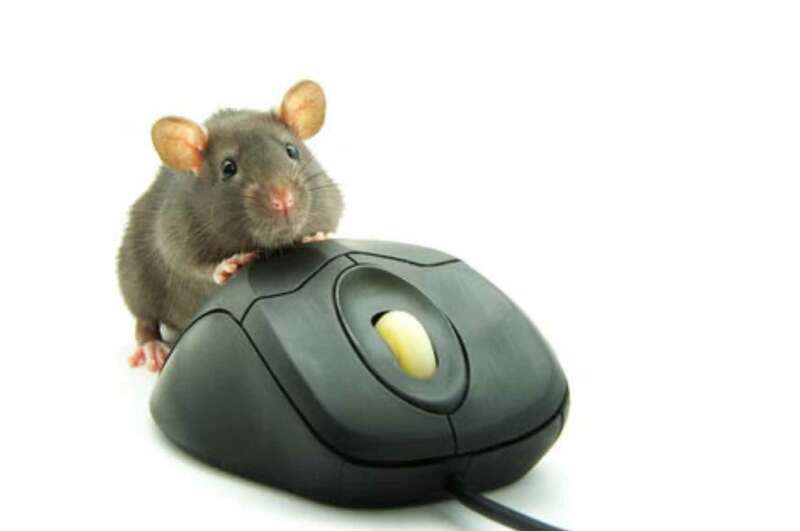 For example, the amount of leisure time spent online at a typical household today puts the online world on the same significant footing as radio and the telephone, but that is not apparent until one goes to some length to study the phenomenon and get very close to the data. Hmmm, when I started this thread I thought it would add up to a whole greater than the sum. Looking back on it, these observations seem rather random. That randomness was imperceptible except at close up. Glad you liked it. Thanks for sending the feedback.